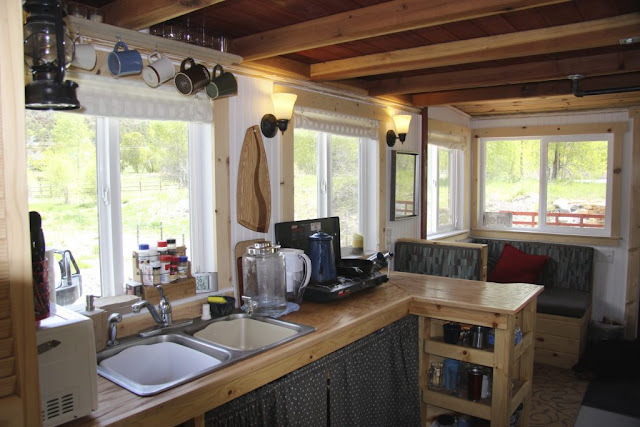 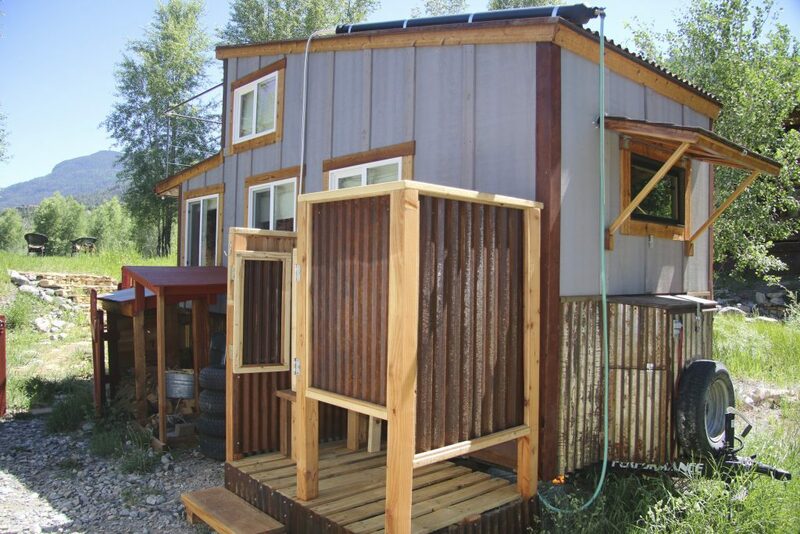 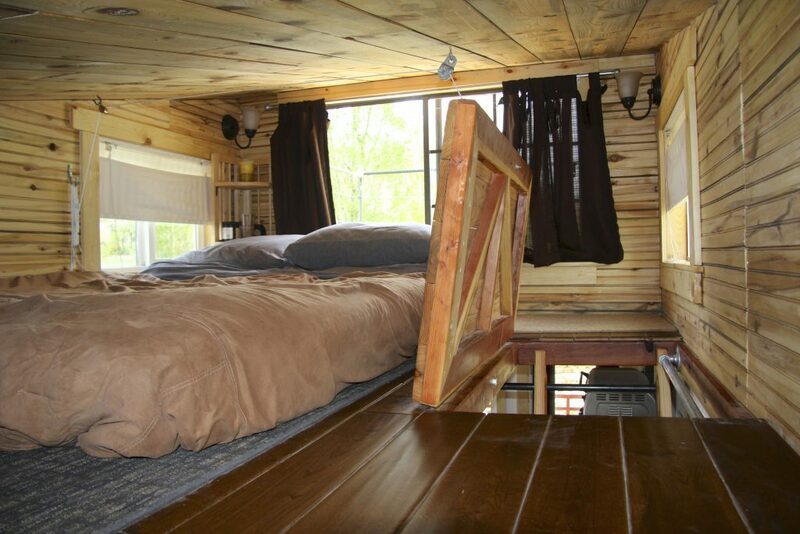 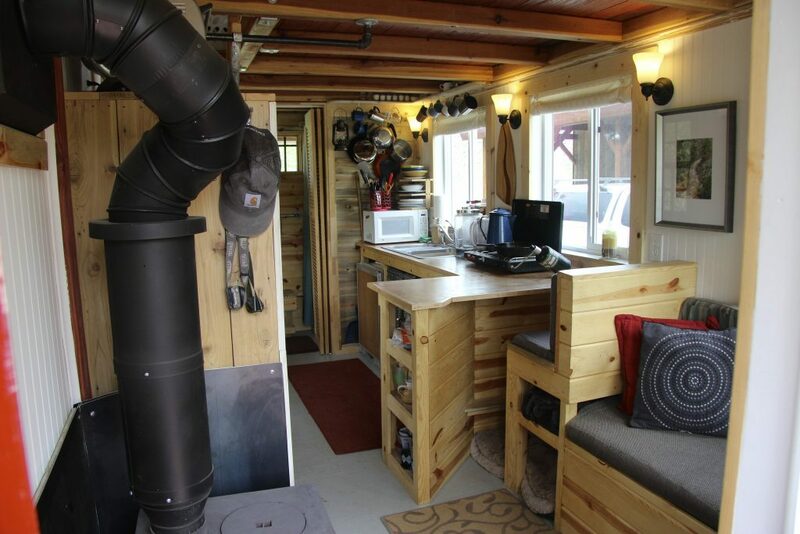 This tiny house was designed to let in as much natural light as possible and has a total window count of 11! The home features a kitchen, living room area, a kitchen with dining space, a loft bedroom, a small home office, an indoor/outdoor shower, and a rooftop balcony. 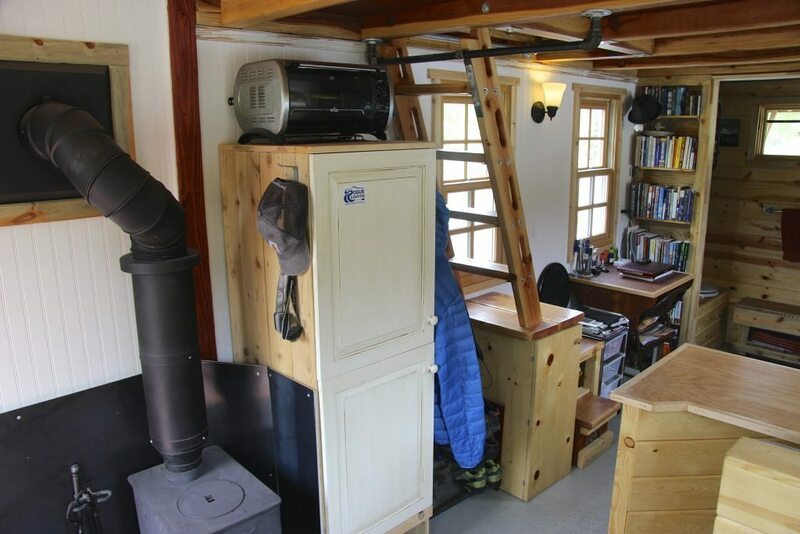 It measures a total of 270 sq ft between the ground floor and the loft. 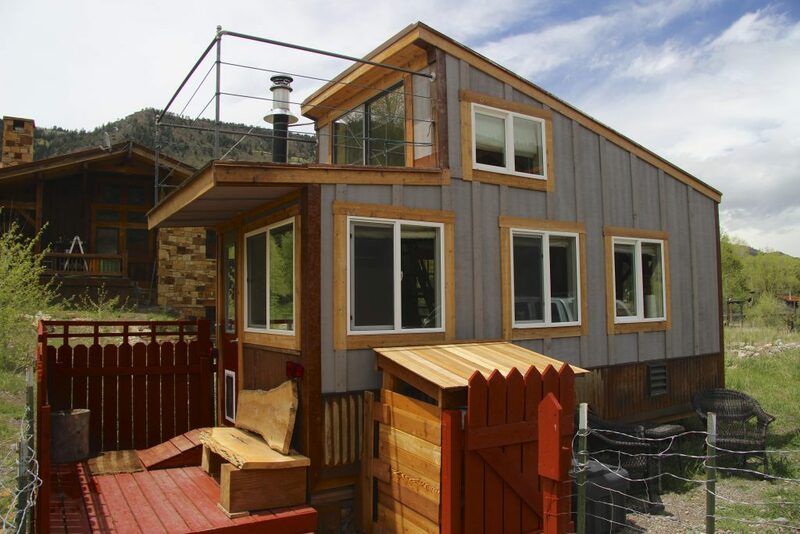 The home is currently offered for sale in Ridgeway, Colorado, for $29,000.